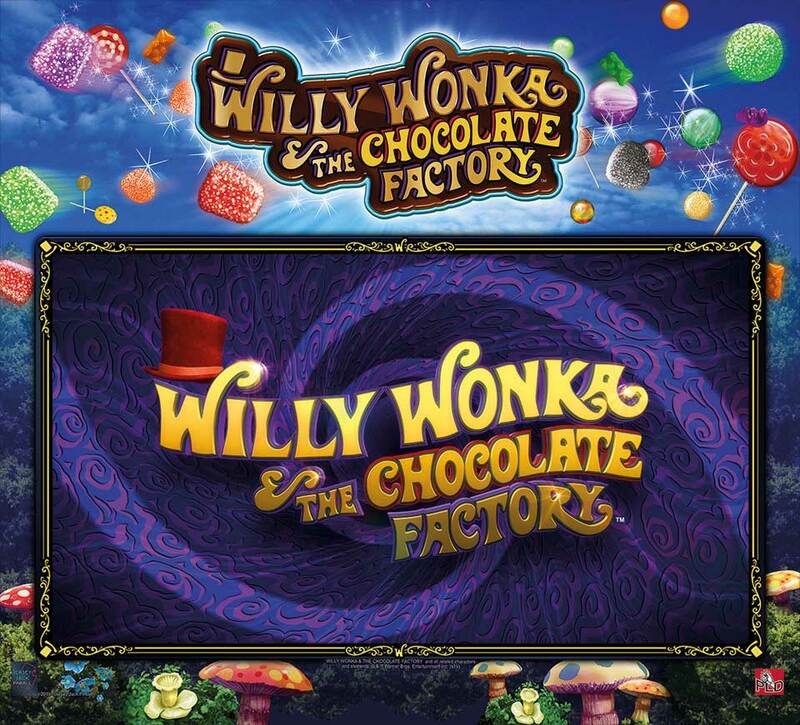 Roald Dahl’s 1964 novel Charlie and the Chocolate Factory. 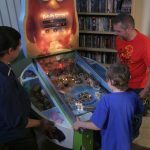 It was adapted into movies twice – first in 1971 and then in 2005, and now the movie, specifically the classic 71’ musical fantasy adaptation, has been adapted into a super cool, high-tech pinball machine. 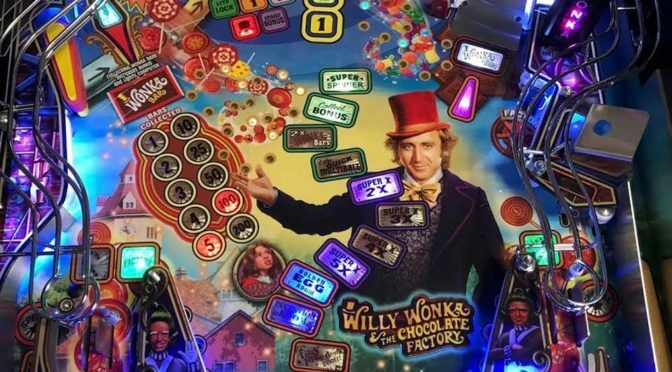 Willy Wonka and the Chocolate Factory Pinball Machine is designed by legendary pinball machine designer, Pat Lawlor, and the latest movie-theme pinball machine from America’s Jersey Jack Pinball. 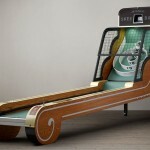 It boasts four flippers, six balls, a captive ball, seven magnets, the Everlasting Gobstopper, the Most Secret Machine, Oompa Loompa camera sculpture, a 7-inch Wonkavision LCD display, a 27-inch HD LCD screen with interactive 3D animations, built-in camera, and candy-colored LED light shows that, together with its whimsical, fantasia design, will bring you back to the 70s classic film. Gameplay features four multiballs, collecting Wonka Bars, spelling Scrumdiddlyumptious, touring Wonka’s Factory, plus a bunch of other goodies just like in the movies that will lead you down the chocolate river to three ward modes. What’s even cooler is, the game is injected with scenes and dialogue from the original 1971 film. 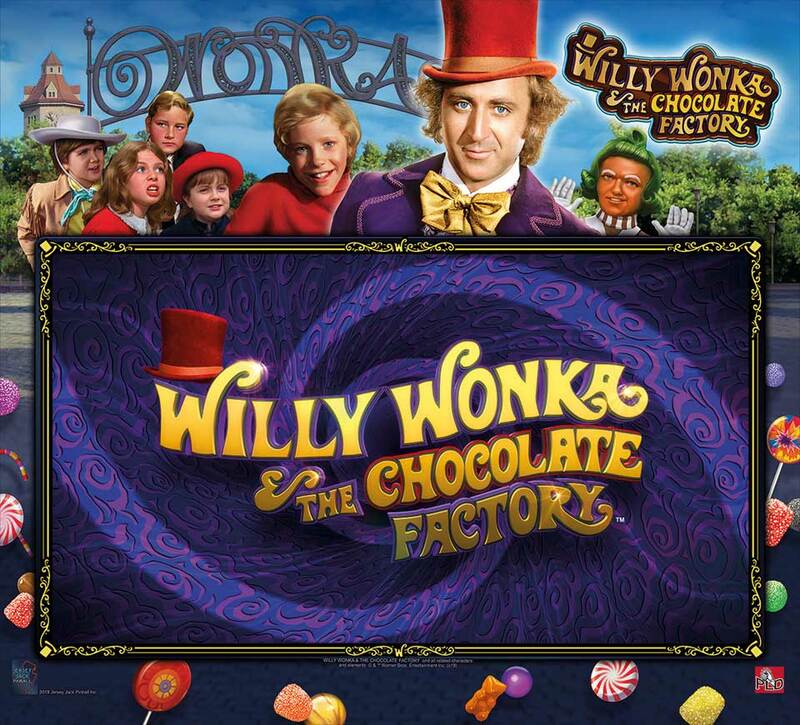 For those who had enjoyed the original film back as a kid, this is going to take you back down to the memory lane. 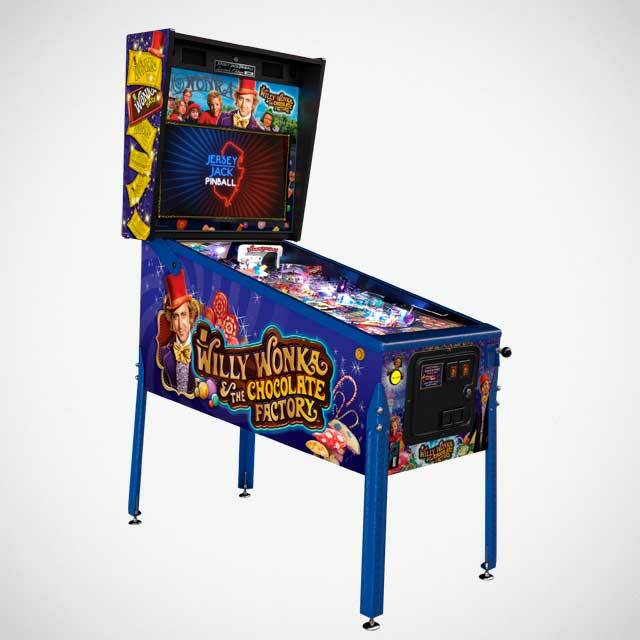 The Jersey Jack Pinball Willy Wonka and the Chocolate Factory Pinball Machine is offered in three models: Standard, Limited, and Collector’s Edition. 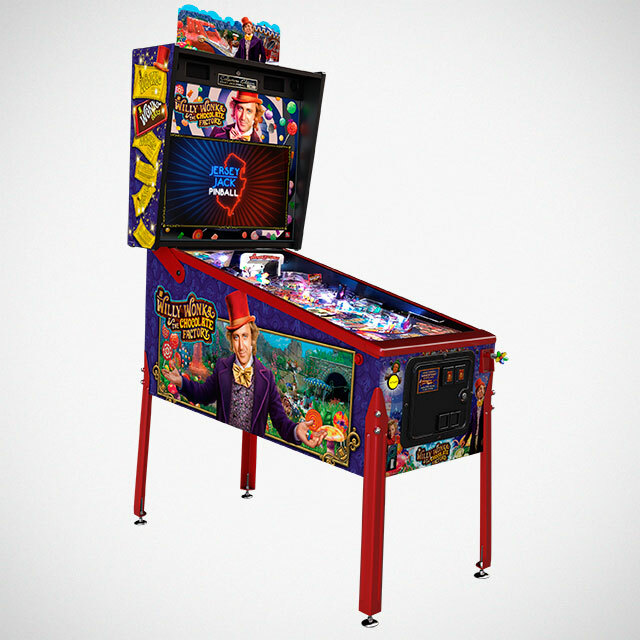 If you are serious about pinball and a huge fan of the original movie adaptation, you will want to secure the Collector’s Edition because, it has a bunch of special features not found on the two other editions, including a 3D Wonkatania lit topper, exclusive playfield artwork with sparkle, external sound control, shaker motor, and a super duper cool Everlasting Gobstopper shooter knob – just to name a few. 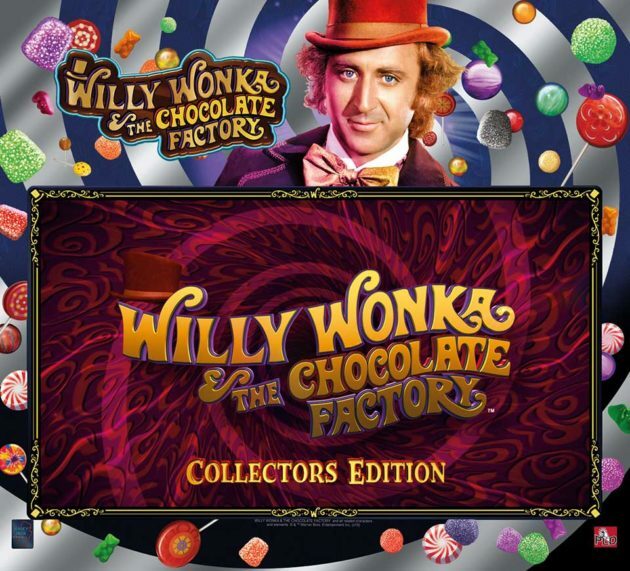 But do take note that only having just 500 units of the Collector’s Edition model will be made, it is also, obviously, the pricest of the three, commanding a cool $12,500 as opposed to $9,500 and $7,500 for the Limited and Standard models, respectively. The Willy Wonka and the Chocolate Factory Pinball Machine is slated to be available this Summer, but at the time of this writing, we noted that Jersey Jack Pinball is already taking pre-orders. 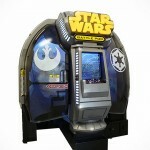 Additional images courtesy of Jersey Jack Pinball. 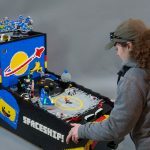 Someone Made A Pinball Machine Entirely Out Of LEGO And It Is Awesome!